miles of the Cotswold Way, with many other glorious walks in the area offering a profusion of bluebells, poppies or blossom trees depending on the season. The Vale of Evesham Blossom Trail, now in its 27th year and featured on the BBC’s Countryfile, offers walks and guided bus tours through Broadway, Pershore and Evesham from the end of March onwards. 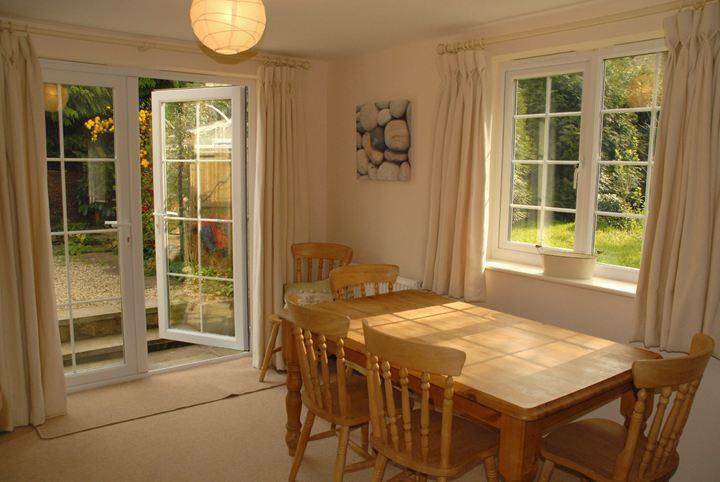 It is also perfectly placed for visitors to stay whilst attending the Cheltenham Races, being easy driving distance whilst avoiding the hustle and bustle of the town during race weeks. During Gold Cup week in March, Broadway’s pubs and eateries are packed with horse trainers, owners and race-goers alike. 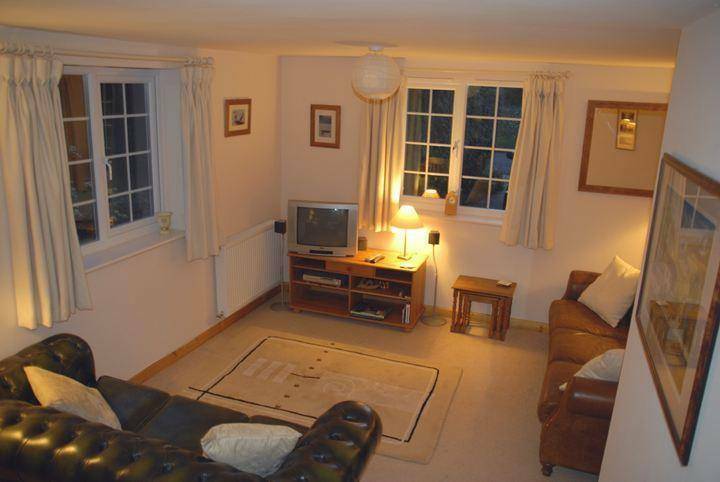 Lemon Tree Cottage is an ideal base to enjoy the races as well as the ‘après-race’ nightlife too! Broadway also hosts horse trials each year – check with tourist information for dates. Broadway Golf Club, at 850 feet above sea level, offers wide ranging views of the area and there is a Spa and tennis court at the Lygon Arms Hotel on the High Street. Broadway is a historic coaching village boasting a beautiful village green and has a newly refurbished recreation area for young people. There are numerous cafes, eateries and pubs and many gift shops, art galleries and antique shops as well as the newly opened Gordon Russell furniture museum and the local hunt stables. 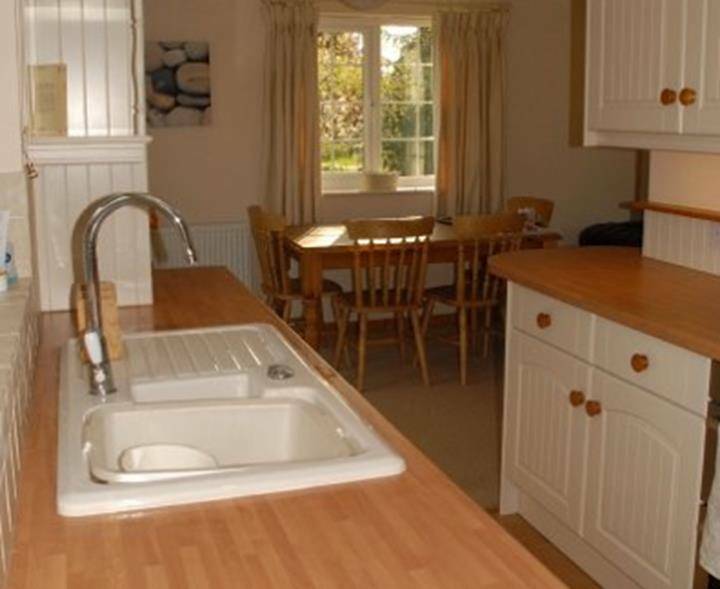 There are numerous local attractions for all the family within easy driving (and walking) distance of Lemon Tree Cottage including historic houses, follies and pre-historic sites, farm, animal and water parks, boating at Evesham Marina, culture and history in Shakespeare’s Stratford. Lemon Tree Cottage is a newly converted, two-bedroom, self catering holiday home with a charming contemporary-yet-homely ambience. Beautifully decorated in chic neutral colours with many unusual and traditional features, the cottage is a superb and tasteful blend of ‘old’ and new with a ‘boutique’ style master bedroom and luxury bathroom. The cottage sleeps 4 adults, and we allow up to 2 well behaved, medium-sized dogs by prior appointment. 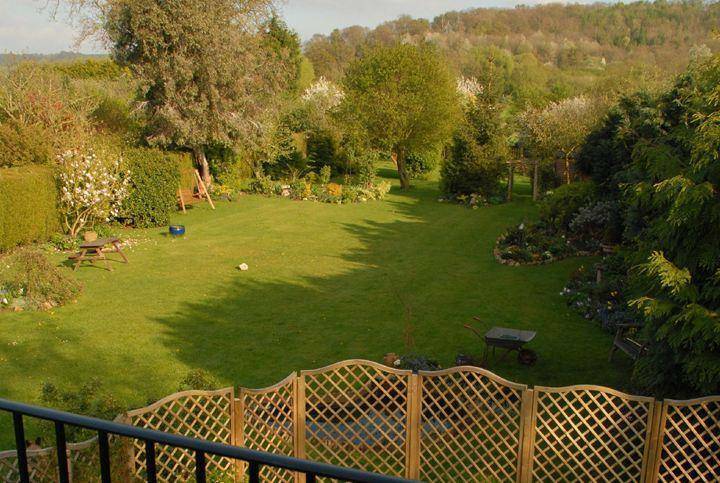 A delightful cottage, Lemon Tree is situated in an Area of Outstanding Natural Beauty (AONB) just one mile from The Green in the beautiful village of Broadway in the heart of the Cotswolds. Its many windows provide fantastic light throughout the day and it boasts stunning views towards the hills and Broadway Tower from a small balcony accessible from the master bedroom. 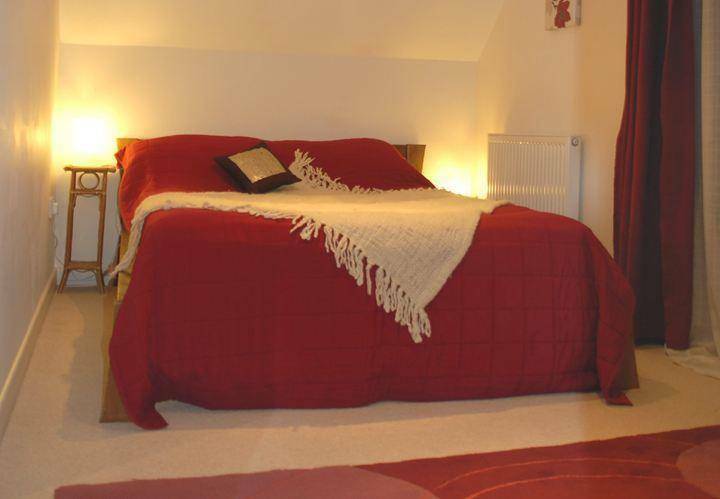 The second bedroom is small with a sloping ceiling and a 4’ double bed. 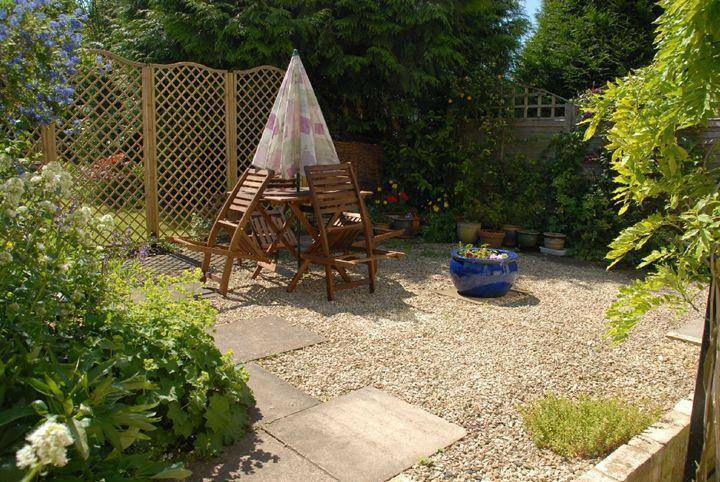 The cottage is link-detached (via the entrance passageway) to the owners’ property next door but has a private patio fenced off from the garden of the main house. On the ground floor, Lemon Tree Cottage is entered via a passageway with double glazed doors at either end (shared access with neighbouring property) to the private main door opening onto the hall with stairs to the first floor; downstairs utility/cloakroom with W.C. and basin, electric razor point, washing machine, freezer, microwave, wine rack(! 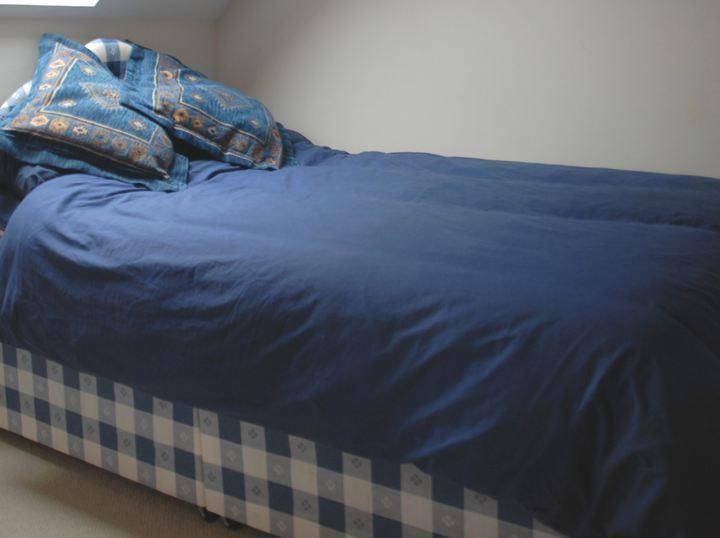 ), full laundry facilities (iron, ironing board, pegs/laundry basket etc); under stairs storage cupboard. The airy, tile-floored, Shaker-style kitchen is fully equipped with dishwasher, fridge, dual electric fan oven, gas hob and extractor, larder cupboard, toaster etc; stable door to garden; L-shaped open-plan layout leading to extremely light and spacious through lounge/dining room with French windows opening onto private patio garden; pine farmhouse table & chairs; comfortably furnished lounge area with leather 3-seater sofa and leather 3-seater Chesterfield, coal-effect gas fired stove, Satellite TV, DVD/CD player; writing desk, ample selection of books, games and DVDs for use during your stay. Steps lead from the house to a private, peaceful garden area with flower and shrub borders, a table with 4 chairs and parasol, retractable washing line, outdoor light and balcony above. Upstairs, the first floor comprises a boutique-style master bedroom (which is considerably larger than it appears in the photograph) with partly sloped ceiling, double bed, spacious fitted wardrobe, chest of drawers, double patio doors opening onto stand-on balcony with outdoor wall light, superb views over the garden, surrounding countryside and hills towards Broadway Tower. The second bedroom is small with a partly sloped ceiling, side alcove, chest of drawers and clothes rail, and a 4’ double bed The luxury bathroom has a sloping ceiling, gold fitments on all sanitary ware, excellent over-bath shower, W.C. and basin.